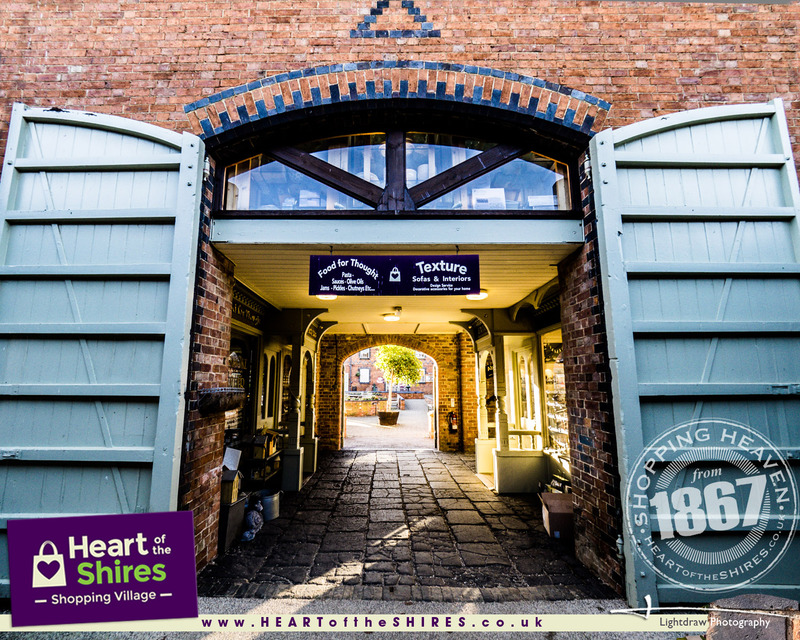 Heart of the Shires is set around a 150 year old Victorian courtyard. The Heart of the Shires Shopping Village offers a selection of 24 individual retailers with character. Open seven days a week from 10am until 5pm, at Heart of the Shires Shopping Village you will discover a wide range of shops offering fine quality products from kitchenware to bridal couture, antiques and collectibles to gifts and garden. In addition Heart of the Shires contains Darlington’s, the popular on-site restaurant and tea room. There’s also plenty to pamper yourself including a beauty salon and hairdressers – and you can pamper your pet’s too! Housing all the amenities you could need from free car parking, free wifi, on site toilets and disabled access to all ground floor areas, it really is a hidden gem in Northamptonshire. Come and see for yourself. A fantastic photo of Heart of the Shires – thank you, Lightdraw Photography based on site at Heart of the Shires.